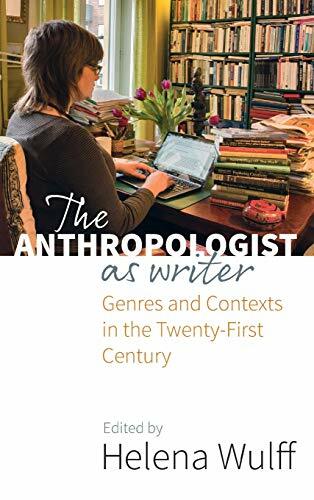 [PDF] The Anthropologist as Writer: Genres and Contexts in the Twenty-First Century | Free eBooks Download - EBOOKEE! Description: Writing is crucial to anthropology, but which genres are anthropologists expected to master in the 21st century? This book explores how anthropological writing shapes the intellectual content of the discipline and academic careers. First, chapters identify the different writing genres and contexts anthropologists actually engage with. Second, this book argues for the usefulness and necessity of taking seriously the idea of writing as a craft and of writing across and within genres in new ways. Although academic writing is an anthropologist's primary genre, they also write in many others, from drafting administrative texts and filing reports to composing ethnographically inspired journalism and fiction. No comments for "[PDF] The Anthropologist as Writer: Genres and Contexts in the Twenty-First Century".